With the arrival of summer comes extreme temperatures and weather. Protecting your vehicle in these hot temperatures is important to its overall health and longevity. If your car overheats, it can be costly to fix and take time away from enjoying the weather while your car is being fixed. Check out these tips for protecting your vehicle in hot weather to keep your car running smoothly this summer! Park in the shade. Finding a shady spot helps you to avoid direct sunlight, which can be damaging to your car’s interior and paint color. Use a windshield sun protector. This helps to keep your car’s interior cool and is easier to use than it appears. Wash and dry it often. 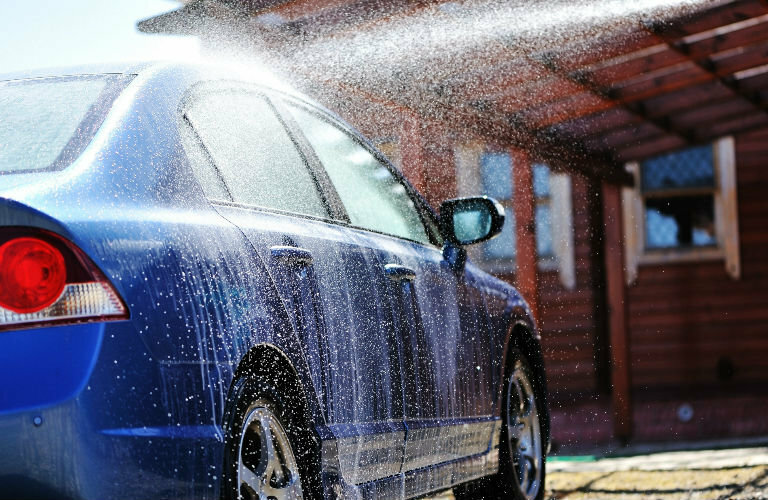 Sun and heat can cause your paint to fade and crack, so frequent washing and drying helps to remove dirt and dust particles that dull your car’s finish. Wax your car. A layer of wax between your car’s paint and the sun’s rays is a great way to protect it, so regular waxing is beneficial! Make sure your engine is in good working order. Getting your engine checked regularly helps to protect it from overheating. Keep your fluid levels up. The likelihood of overheating greatly increases when fluid levels are below recommended levels. Keep up with your motor oil, transmission fluid, power steering fluid and brake fluid during the hot months. If you are in the market for a new vehicle, Lanoue Chevrolet has a full inventory of new vehicles available. Browse our current inventory and set up a test drive online before you come into the dealership today!